Welcome to the 4th day of the February Challenge. Hope you all had a nice Sunday. Today’s photo was suggested by Luciana. Thanks so much for your contribution, Luciana! Hope you enjoyed today’s banner and the humorous bonus. See you tomorrow! This entry was posted in Animated GIFs, Flash, richard armitage and tagged actor, animated gifs, graphics, richard armitage, richardarmitagenet, richardarmitagenet.com, richardarmitagenetdotcom, wet. Bookmark the permalink. Great BCC!!! Loved this photo and your vid made me fantasize… more (giggles)!!! @Luciana: Thanks again for your contribution! 🙂 I’m glad you enjoyed the result. BCC, no need to thank me… the pleasure was all mine!!! @April: Thanks for your kind words! RA the mermaid, or merman I should say! Love it! By the way the fly is a great touch. @IWantToBeAPinUp: LOL re: merman! I wish I saw someone like that on my cruise! Yes, the fly on Tanni’s banner cracked me up. Poor Lucas, LOL! BCC, whatever is wet and concerns Mr. A is good and pleasant! Tanni, you did an exhilarating animation! Shot the fly, Lucas! 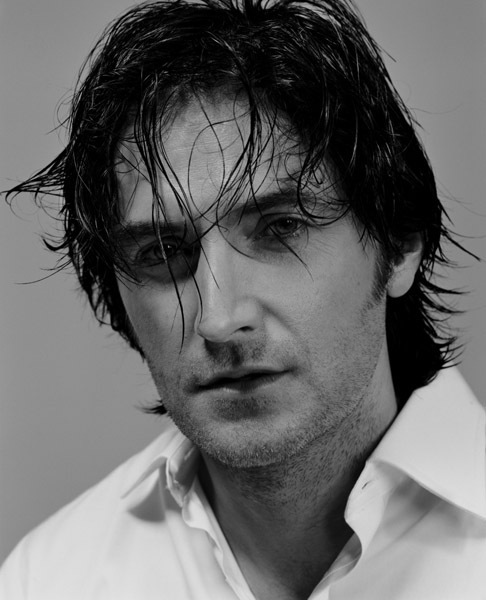 @Carla: For a man who has professed to fear water, we sure see Richard Armitage all wet on a fairly regular basis, LOL! He looks so young in this photo! I almost feel inappropriate fantasizing about it…ALMOST! lol Love the background music you put in! @Margie: Well, he’s got 40 years to talk about now so I think he’s not too young. 😉 He was 35 when this was taken so he was of age then too! @judiang: Nice try, LOL! We shall see, shall we? Good choice Luciana , great work Bccmee. Richard…wet…do we need more comment? The banner made itself? How very clever!! 😀 Excellent job, bccmee and a great choice of image, Luciana! @Dhana: It’s always nice when the muse takes over. Saves me the trouble, LOL! I’m glad that you came back hapily and safely home. I have some arrears on your blog and I will be happy to make up for it soon ,that is if my computer will not refuse to cooperate with me again. I second Teuchter’s pRAise of RA. Wet RA is heartstoppingly gorgeous! You and Judiang and others who post these life size hi-res portrait shots of RA are providing a vital community service. Ha! And as I have said elsewhere ladies, be sure to remove your lipstick before you kiss your LCD computer screens. Lipstick is so hard to remove. Ha! And I loved your and Tanni’s animations. Bccmee, you’re a one woman media art conglomeRAte. @Gratiana: Thanks for the advice regarding the lipstick. That is also a public service, LOL! talk about dangerous when wet!!!! he doesn’t even have to try does he? The Lucas one looks really amazing! erm~ methinks Lucas looks good in~ or out of most anything! shameless I know but I’m not bothered! remember the boiler suit episode? case rested! Bccmee, I love it! 🙂 I regret that your flash animation can not be wallpaper. Wet RA *sigh* nice choice Luciana. I really admire his ability to the change of his appearance ( like chameleon in a positive sense 😉 ) and he is more fascinating every time. BTW, Oh what a pushy fly! LOL! @Ania: Yes, it would be possible but difficult to make animated wallpapers and it would require a 3rd party plug-in to use them. 🙂 Thanks for your kind words on the banner. Yes, Tanni’s fly is quite a pest, LOL! Love the banner, Bcc Mee! That’s one of my favorite pictures..LOL I have a lot of favorites. @Carolyn: Same with me. My favorites are far too numerous to list! I loved the gifs, girls.you are very talented .Thanks Luciana for the photo.Richard wet is a delight for my eyes , but Iwould prefer see him entirely wet from the head to feet.Have you any idea to do a gif like that, Bcc? @phylly3: I’m having a ton of fun and I couldn’t do it without help. Thank you for your lovely comment! I love the work you do. The pic is obviously gorgeous, but I was drawn to the exploding letters. That is just plain cool. And I like the modified Lucas/Gun… and I don’t know if you consider it a compliment, but my cat went after the fly. Gave me several minutes of hilarious distraction! @grendel’s mum: I appreciate your support very much! @Thais: Yes, I used blue for the backdrop because it really looks good with RA pictures, LOL! Thank you for your kind comment! Somehow this little jewel got past me…it is fabulous. I think “Wet Strike Back Armitage” would make for a steamy picture. Thanks for sharing your creativity.